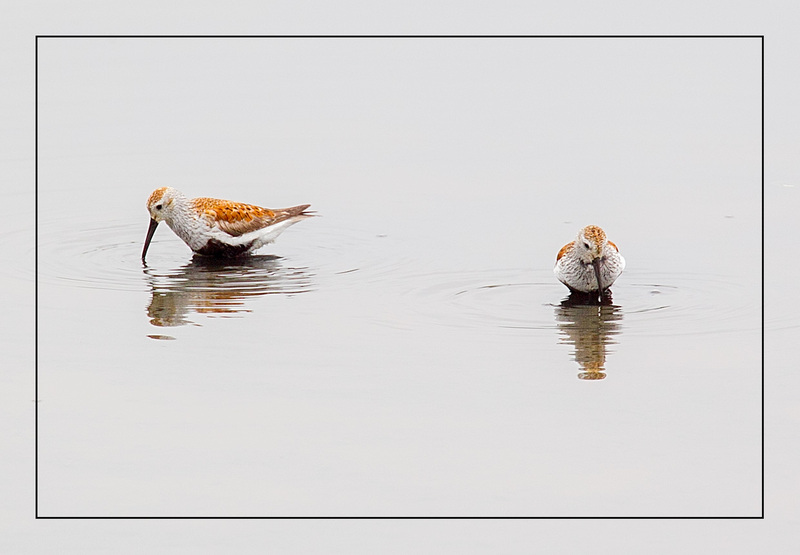 I only managed to get up to see the Shorebird Spring Migration once this year, but I’ve been blessed by getting to see more shorebirds than ever before at Theler. 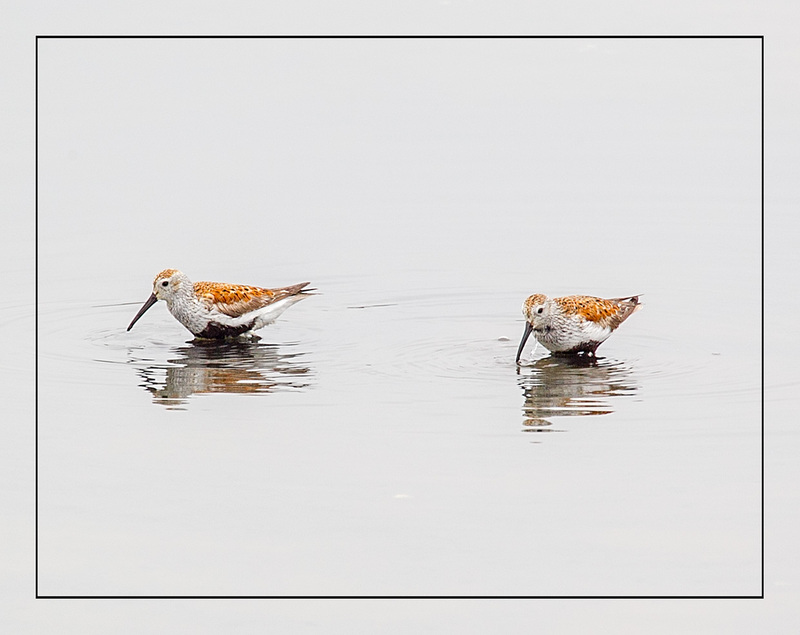 One of my favorite shorebirds is the Dunlin, particularly in breeding colors so I have some great shots I’ve taken at the beach. However, I’ve seldom seen a single pair of Dunlin so I’ve always had to include them in the foreground of group shots or do a tight closeup to avoid stray bird parts on the edges of the shot. 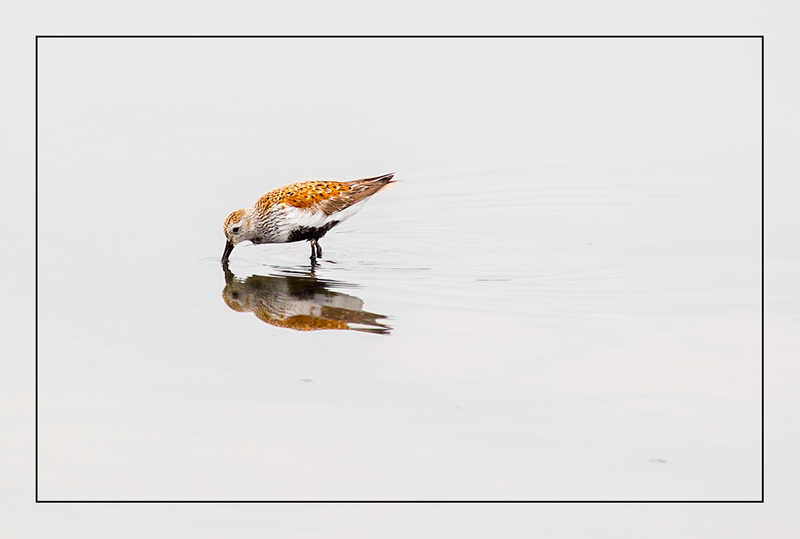 So, it was somewhat of a treat to be able to isolate this Dunlin and float it on a white canvas. And I wasn’t even annoyed when the bird’s mate worked its way into the shot. Unfortunately, the birds were considerably further away than I’m used to shooting, so the pictures had to be cropped considerably so they’re not as large as I usually post. Cropped or not – they are lovely. I enjoy your bird photos. You do a good job.